Fiber Optic Inspection—Does It Matter? If you search on the internet, you will find that the greatest cause of optical network failures is the issues with end-face contamination. As bandwidth demands rise and lose budgets get higher, many optical managers have attached great importance to fiber optic inspection. Today, this post intends to explore why fiber optic inspection matters and how to achieve a satisfying inspection. Why Fiber Optic Inspection Matters? With the wide deployment of fiber optic components like fiber optic connector and fiber pigtail, everyone in fiber installation and network has a clear recognition of the importance of fiber optic inspection. In a study by NTT-Advanced Technology, most of installers think that fiber end-face contamination is a major cause of network outages and downtime. Fiber optic inspection enables network technicians and other personnel to safely inspect fiber end-faces for contamination and verify the effectiveness of fiber cleaning procedures. In fiber optic communication, dust, dirt, oils and anything else on a connector end-face can seriously impact on network performance. Even in some dust caps, dust also exists. Except for those contaminants, some accidental behaviors also can cause damage for connecting end-face, which cause network failures too. Seeing is believing. Here are some samples of different contaminants and damage (deep scratch, dirt and oils). Once a fiber connecting end-face has been cleaned properly, fiber inspection should be done to ensure clean mating and optimum performance. And the inspection scope of single mode and multimode fibers includes several zones: core, cladding, adhesive and contact (as shown in the below chart). How to Achieve Good Fiber Optic Inspection? In the world of fiber optics, where light is transmitting through an 8-micron fiber core, a speck of dirt is like a boulder in the middle of the road. How to remove this “boulder”? It’s fiber optic clean and fiber optic inspection. Here we mainly talk about the latter one. We cannot see dust and little oil, or a small scratch with our eyes, but a fiber optic inspection microscope can do that. Fiber optic microscope is a type of microscope designed for fiber optic equipment to check unmated fiber optic connectors for dirt and end-face quality. Fiber optic microscope usually has three major components: an illuminator, a microscopic lens system, and a visual display. The illuminator is used to project light through the optic fibers so any debris or imperfections is visible. The microscope system is to magnify the image of the optic fiber. And the picture will be shown on the display, usually a LED screen. In order to achieve a good fiber optic inspection, the fiber optic microscope is necessary. A fiber optic microscope generally comes into two forms: desktop type and handheld type. A desktop fiber optic microscope has a free-standing monitor display connected to a separate microscope system, which is useful for high-volume testing or detailed inspection. 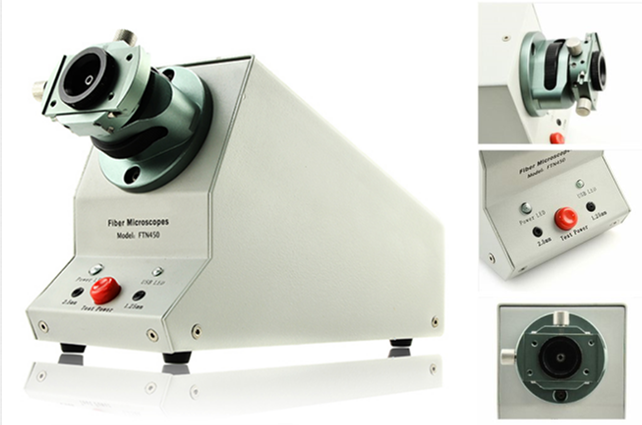 Like the desktop video three-dimensional microscope, apart from the features mentioned above, it has a focusing wheel, indicator lights and X/Y axis adjusting knob, which help it have a high performance in fiber optic inspection. And finished, semi-finished, PC and APC all types can be tested with this microscope. 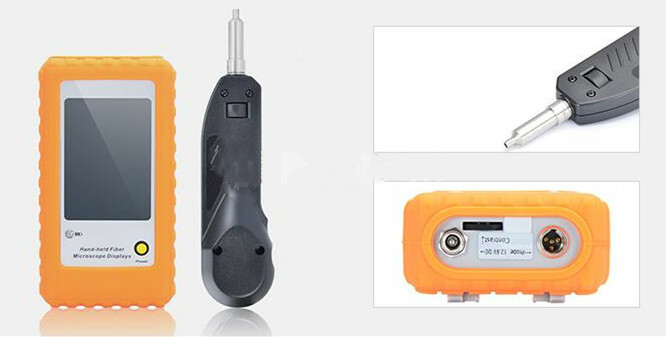 Handheld fiber optic microscope is like a mini version of desktop type. It fits most of the features of a desktop model into a smaller, portable package. The display and illuminator are combined into one unit, which makes it suitable for on-site inspection and in cases when testing is not regularly controlled. 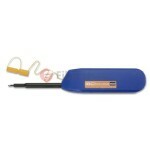 The following picture shows a FFOI-605 handheld fiber optic inspection probe microscope. 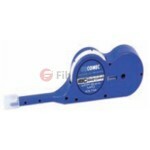 It is used to examine installed fiber terminations or ensure terminations are smooth and clean. The most brilliant feature of this microscope is that it eliminates the need to access the backside of patch panels or disassemble hardware devices which prior to inspection. Fiber optic inspection plays a key role in fiber optic termination and optical communication. And good fiber inspection cannot be achieved without a fiber optic microscope. No matter you are a fiber installer or a network operator, most vendors will recommend that good practice is to inspect all fiber connectors before mating. This entry was posted in Fiber Testers & Tools and tagged basic fiber testing, fiber optic inspection, fiber optic microscope on January 19, 2017 by Chloe Wang.